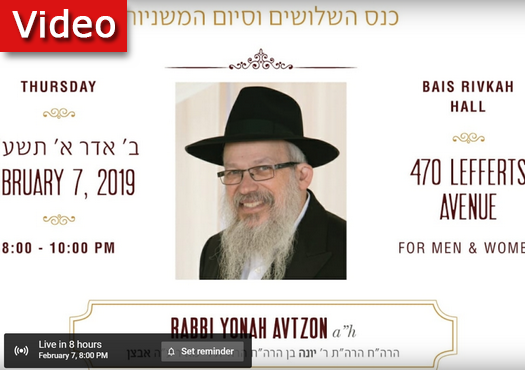 Watch Live at 8:00pm: The shloshim for Rabbi Yonah Avtzon will be streamed live here at CrownHeights.info. 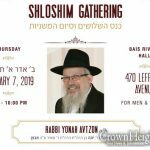 Speaking at the event will be Rabbi Simon Jacobson as well as others who will bring Yonah’s life to the spotlight. 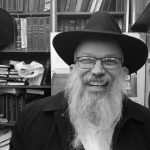 Did Rabbi Avtzon Make Your Shidduch?